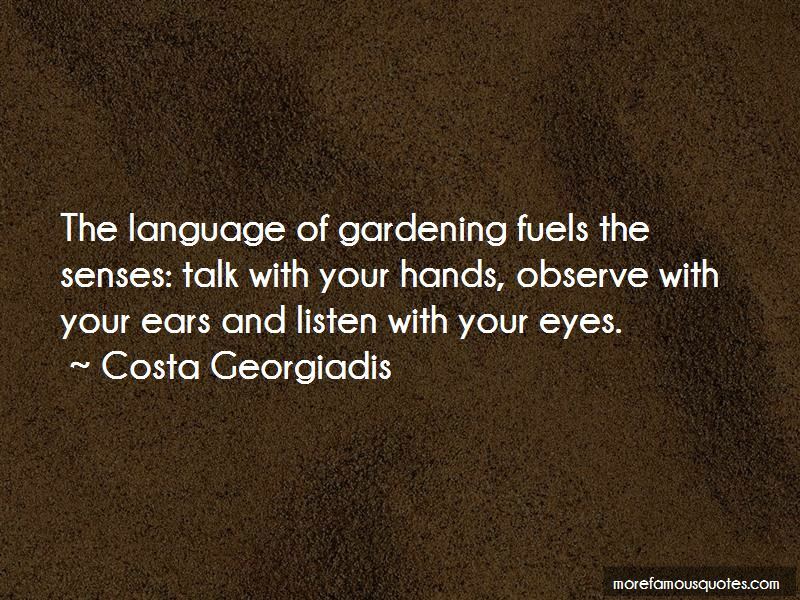 Enjoy the top 10 famous quotes, sayings and quotations by Costa Georgiadis. We're all nurtured by mother nature's cycles and seasons. Every creature and plant is part of her (mother nature's) amazing interconnected garden ... The whole world is a garden. It's not just about facts, information and technical know how ... Gardens are about time, observation and intuition. 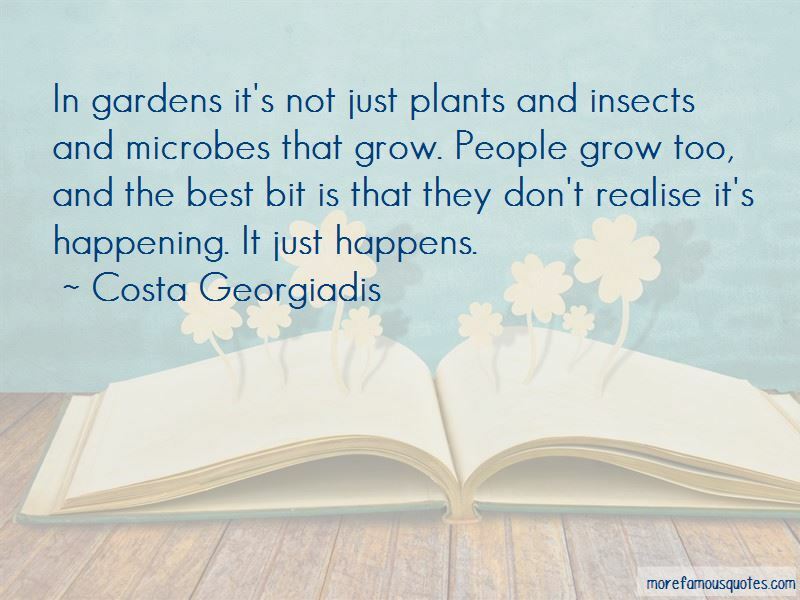 In gardens it's not just plants and insects and microbes that grow. People grow too, and the best bit is that they don't realise it's happening. It just happens. But we have to look after mother nature so she can look after us - the water, the soil, the air and all the life within it. 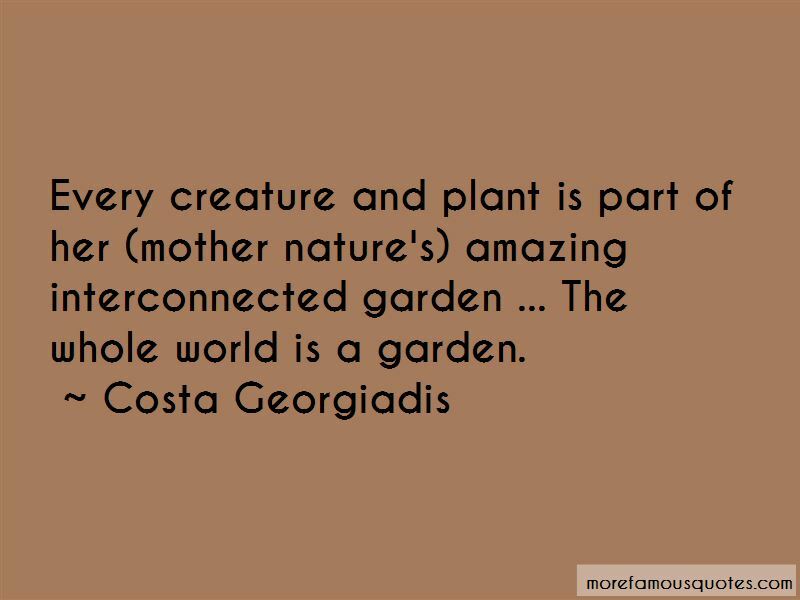 Want to see more pictures of Costa Georgiadis quotes? 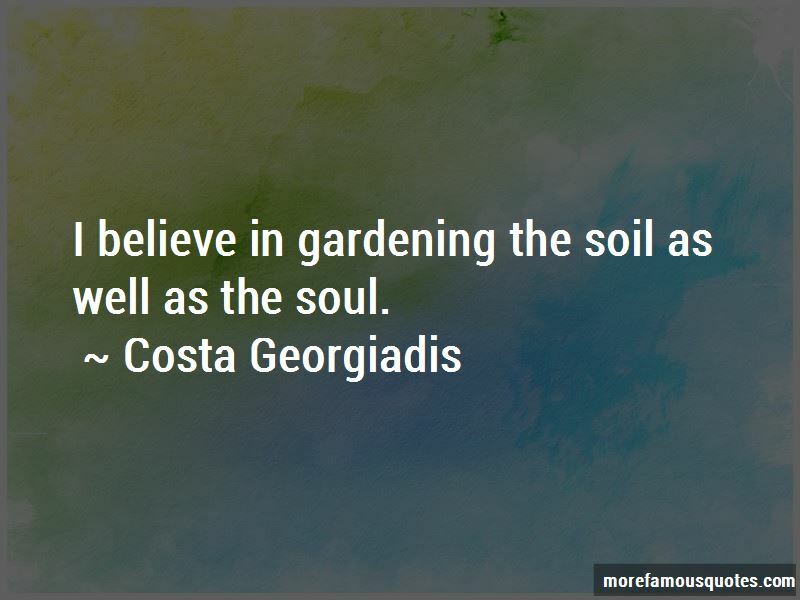 Click on image of Costa Georgiadis quotes to view full size.